Underperformance can happen for a vast number of reasons and if it is not dealt with, it can create resentment and hostility among teams. 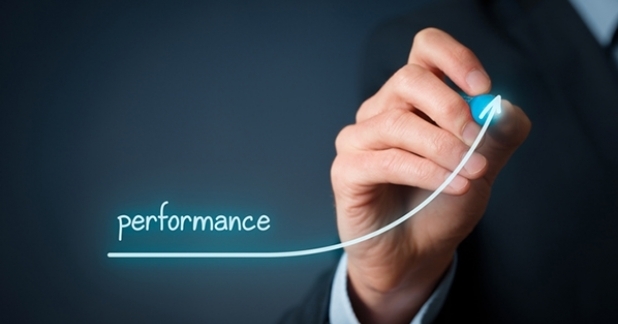 In many businesses the term “Performance Management” has negative connotations and is considered to be a consequence of an underperforming employee. In contrast, The CIPD define Performance Management as a set of processes that aim to maintain and improve employee performance in line with an organisation’s objectives. This definition implies that performance management is an ongoing, communicative process and something that all employees should be involved with throughout their career in an organisation. If employees have regular one to one meetings with their manager where targets are set, performance is reviewed, feedback given and support put in place, in theory underperformance should be caught early and continuously managed. It’s in the interest of businesses to schedule and stick to regular performance reviews with all employees to ensure they remain engaged, feel valued and are motivated to improve their weakest traits. It is likely that every manager at some stage in their career will have to deal with an underperforming employee but not every manager is equipped to deal with it in the most effective way. Underperformance can be the effect of multiple things; from being disengaged to being under trained. However, it could also be result of something happening in someone’s personal life, perhaps a divorce, money problems or an ill relative. There are so many factors big and small that can affect a person’s behaviour at work. It is important to consider this along with the amount of time an employee has been in post, their general attitude and past performance, before deciding on a course of action. The best thing a manager can do ahead of approaching the staff member in question is to prepare. It is important to have tangible examples of where/how an employee has underperformed but even more important to be have prepared some constructive feedback on ways they can improve. The longer underperformance goes on, the more toxic it can be for a team and the harder it will be to change someone’s behaviour. Once you have spotted the performance issue, deal with it as soon as possible. Be careful not to be too gung-ho as it’s important to understand what may be causing it, particularly if they are a valued member of your workforce. Be empathetic in your approach, listen to what they have to say and then implement your plan of action. As mentioned, there are a number of reasons an employee may not be reaching their targets. If this is out of character for them it maybe an external factor, if they are a new starter it could be poor hiring decisions and if it’s persistent then they might be a disruptive employee. All of these reasons need to be dealt with in different ways and as a manager it is your job to recognise this and take the most appropriate approach. Be sure to listen carefully, take on board what they are saying and them provide the support to help them succeed. Ask yourself whether there is anything more you could be doing to improve their performance. Ultimately, the best way to monitor and improve performance is to take a collaborative approach with your team and implement ongoing reviews. By using these reviews effectively, you will gain an understanding of what your employee is doing well and where they may need additional support. This collaborative approach will promote a culture of open communication and staff will feel comfortable talking about their weaknesses and also finding strategies to improve. This should prevent underperformance getting out of control and employees becoming disengaged. Furthermore, it will motivate your team and build their understanding of, and commitment to, your business. For more HR opinion and tailored recruitment service visit our website.